Amazon is preparing for Prime Day on July 15 and has decided to start announcing some of the deals we can expect. 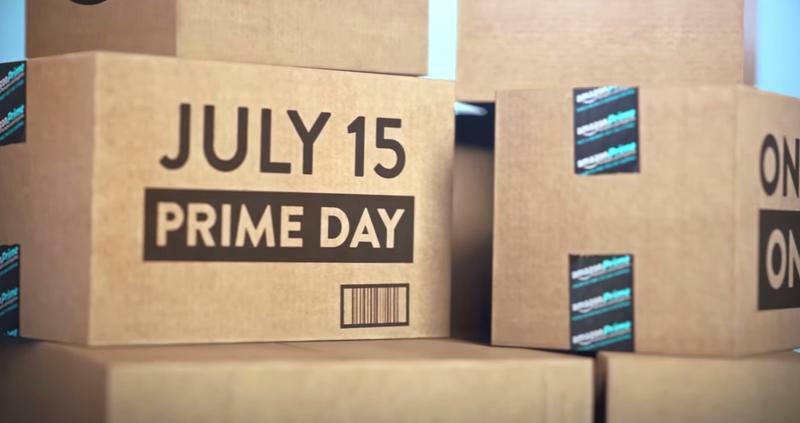 July 15 will be the first Amazon Prime Day which is being marketed as a Black Friday type sales event in the middle of the summer. While the company has been playing it close to the vest as to what types of deals we might see, it finally took the veil off of some of them on Tuesday in the form of a press release. As is to be expected, the Amazon devices such as the Kindle, Fire TV Stick and Fire HD tablets are all getting marked down. After that is where it gets interesting with a 50-inch 4K TV bundle that will sell for under $1,000. An iRobot Roomba Pet Vacuum Cleaning Robot for under $300. The lowest price ever on a pair of Bose headphones on Amazon. Just from the small sample Amazon has released it looks like it's going to be an interesting day for the retailer and its customers alike. Don't forget, you need to be a Prime member to take advantage of these prices. If you aren't already a member you can sign up for a free 30 day trial and still get to take advantage of the deals. SEATTLE–(BUSINESS WIRE)–Jul. 14, 2015– (NASDAQ:AMZN) – Beginning Wednesday, July 15, just after midnight PT, Prime members can shop thousands of exclusive lightning deals with new deals added as often as every ten minutes throughout the day. With more deals than Black Friday, members will enjoy thousands of deals from sought-after devices and tools to popular toys and pet supplies. Anyone can join Prime, to start a free 30-day trial and participate in Prime Day visit amazon.com/primeday. Transparent Red Carpet Experience: Amazon customers in the US, UK and Germany will have a chance to win a trip to the Transparent Season 2 premiere this fall. One winner and a guest from each country will receive round-trip airfare, hotel stay and transportation as well as a chance to meet the cast and creators from the Golden Globe-winning Amazon Original Series. For a chance to win in the US visit: amazon.com/redcarpet. Listen to Win: Prime members in the US who listen to any song on Prime Music will automatically be entered to win up-to $25,000 in Amazon Gift Cards. Prime members can stream a song, an album or listen to any Prime Station or Playlist for a chance to win Amazon.com Gift Card prizes, ranging from $1,000 to the Grand Prize of $25,000 in Amazon.com Gift Cards. For a chance to win visit: amazon.com/listentowin-rules. Deals Preview: The following are examples of some of the deals that will be available at various times throughout Prime Day. #PrimeLiving Photo Contest: Through July 15, members are invited to snap a photo of #PrimeLiving moments and upload them at amazon.com/primeliving for the chance to win $10,000 in Amazon Gift Cards. To learn more about the #PrimeLiving photo contest and get inspiration from artists around the world, watch here. Prime Personalities: Amazon invites customers to take a quiz to discover what kind of Prime member they are, and enter for the chance to win a $2,000 Amazon.com Gift Card. No purchase necessary. See contest rules at amzn.to/QUIZ. Deals on the go: Prime members can shop Prime Day deals on any device, including smartphones and tablets and find deals anytime, anywhere. It's a great time to try Prime: Anyone can sign up for Prime and participate in Prime Day, eligible customers can sign up for a 30-day free trial of Prime at amazon.com/primeday.